M-Net, organisers of the Big Brother Africa and Mzansi reality series have announced that there will be no Big Brother Mzansi this year. On Big Brother Africa which was last held in 2014, organisers said they were still deliberating on the future of thatshow. But it seems all hope is not lost as the organisers promised that when it eventually returns, the highly-demanded show would be bigger and better. Last year, Big Brother Africa was not held as Endemol and M-Net failed to secure sponsorship for the show. On Big Brother Mzansi, M-Net said: “Big Brother Mzansi is not part of our upcoming programming schedule/lineup, but we’re currently busy with other regional Big Brother productions — with Big Brother Angola being the most current production to take place (13 March-22 May 2016)”. However, compared to Big Brother Mzansi which has been viewed by those outside South Africa, Big Brother Angola is a product specifically made for that country and cannot be watched elsewhere. “MultiChoice Africa continuously looks forward to introducing new and exciting local talent to viewers. “Viewers should continue to expect the best of international and world class, local entertainment content from M-Net and the Africa Magic group of channels. “Our newest telenovela, Hush, for instance promises to be a hit with viewers across Africa when it launches in April as it features a stellar cast and some of the best writing seen on television. “Also, next month on April 10, The Voice: Nigeria will kick off on Africa Magic Showcase and Africa Magic Urban and will be available to all our subscribers on the continent. “Our channel suppliers are constantly exploring formats and exciting productions that include other regions across our DStv and GOtv. It remains to be seen if the Big Brother Africa Season 10 will be held this year, especially considering that season nine was a 'bore'. The winner, Idris was equally not as interesting as his first runner up, Tayo from Nigeria who most believed was robbed. 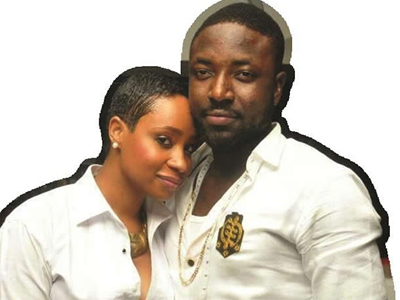 Since the 2014 edition had no highlights, many still follow season eight’s power couple Pokello Nare and Elikem Kumordzie who now have a baby together and also married customarily.